Here--in the only collection of speeches by nineteenth-century African-American women--is the battle of words these brave women waged to address the social ills of their century. While there have been some scattered references to the unique roles these early "race women" played in effecting social change, until now few scholars have considered the rhetorical strategies they adopted to develop their powerful arguments. In this chronological anthology, Shirley Wilson Logan highlights the public addresses of these women, beginning with Maria W. Stewart's speech at Franklin Hall in 1832, believed to be the first delivered to an audience of men and women by an American-born woman. In her speech, she focused on the plight of the Northern free black. Sojourner Truth spoke in 1851 at the Akron, Ohio, Women's Rights Convention not only for the rights of black women but also for the rights of all oppressed nineteenth-century women. Frances Ellen Watkins Harper struggled with the conflict between universal suffrage and suffrage for black men. Anna Julia Cooper chastised her unique audience of black Episcopalian clergy for their failure to continue the tradition of the elevation of womanhood initiated by Christianity and especially for their failure to support the struggling Southern black woman. Ida B. Wells's rhetoric targeted mob violence directed at Southern black men. Her speech was delivered less than a year after her inaugural lecture on this issue--following a personal encounter with mob violence in Memphis. Fannie Barrier Williams and Victoria Earle Matthews advocated social and educational reforms to improve the plight of Southern black women. These speeches--all delivered between 1832 and 1895--are stirring proof that, despite obstacles of race and gender, these women still had the courage to mount the platform in defense of the oppressed. Introductory essays focus on each speaker's life and rhetoric, considering the ways in which these women selected evidence and adapted language to particular occasions, purposes, and audiences in order to persuade. This analysis of the rhetorical contexts and major rhetorical tactics in the speeches aids understanding of both the speeches and the skill of the speakers. A rhetorical timeline serves as a point of reference. 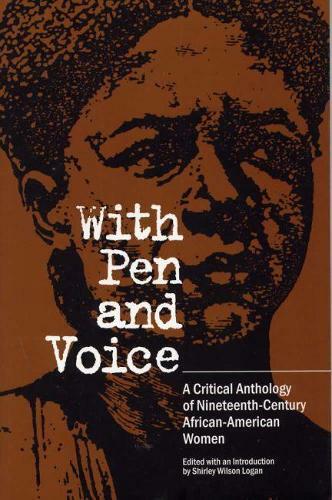 Historically grounded, this book provides a black feminist perspective on significant events of the nineteenth century and reveals how black women of that era influenced and were influenced by the social problems they addressed.